The Bank for International Settlements (BIS) has just released the proceedings of its seminar on sovereign risk, "Sovereign risk: a world without risk-free assets?" held in Basel at the start of January this year. 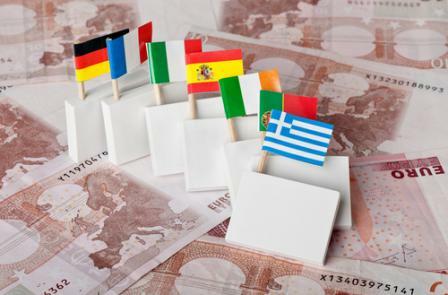 Schooled again and again by one EU sovereign debt crisis after another, we have all grown accustomed by now to questioning the old axiom that government bonds in major advanced markets represent a "risk-free" asset class. So from that stand point, there is nothing new about the question the BIS posed for its conference. "Let me be clear that a world of financial markets without something approximating a risk-free sovereign strikes me as a world that would be very complex, and one that we would not want to live in." What Caruana is referring to here, quite simply, is that if we conclude that the international financial system is fundamentally unstable, which is what the idea of no risk-free sovereign actually posits, then we are in really serious trouble. We used to live in a world where sovereign risk was so low that investors could behave as if that debt was risk-free. The situation was a bit like air travel: we all know that the risks are not zero when we get on a plane but they are low enough for most of us to behave as if they were truly minimal... But what would the world look like if sovereigns were unable to win back their all but risk-free status? The consequences could be far reaching. Then there is the fact that advanced market sovereign debt tends to be the benchmark against which other, riskier assets are priced. We are all familiar with the idea of "risk-free plus x%", as a formula for looking at whether spreads on riskier assets are increasing, as against the risk free rate, or reducing. This is one of the prime ways of judging how the "hunt for yield" is picking up, and whether bubbles are forming in certain asset classes, with people taking on loads of underpriced risk. The usefulness of this "view" diminishes fast when the risk-free rate starts shifting, instead of being a stable entity. As Caruana says, the world gets frighteningly complex, frighteningly quickly once you really start seeing major risk creeping into "risk-free" assets. Worse, fund flows become unpredictable and highly volatile as institutions and investors hunt for somewhere "safer" to park their money. Related: Asian Sovereign Bonds: The New ‘Safe Havens’? All this is scary stuff. The proceedings represent a very solid, deeply considered set of views and are well worth reading in their entirety (181 page pdf!). Safe assets? What safe assets? BIS ponders sovereign risk is republished with permission from the QFinance Blog. See Also: Asian Sovereign Bonds: The New ‘Safe Havens’?